Laithwaite’s began in 1969, when Tony Laithwaite borrowed a van to bring Bordeaux wines where he was working at the time back for family and friends. Their Gloucester Fulfilment Centre is the home to their Call Centre, Distribution Centre and their Wine Shop and staffed with over 500 employees. Laithwaite’s began in 1969, when Tony Laithwaite borrowed a van to bring Bordeaux wines where he was working at the time back for family and friends. 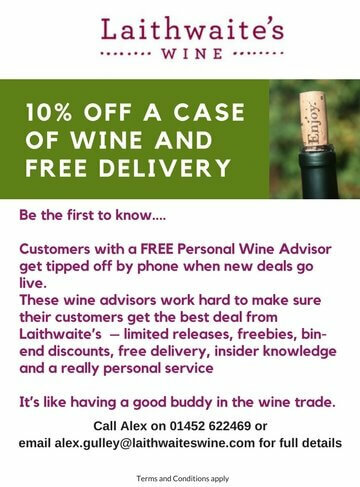 They continue to keep true to their values by importing wine from a wide range of wine producers from all over the world into their Fulfilment Centre in Gloucester making us the UK’s No1 Home Delivery Wine Merchant. Their Gloucester Fulfilment Centre is the home to their Call Centre, Distribution Centre and their Wine Shop and staffed with over 500 employees.